JUDY COLLINS-IN MY LIFE, WILDFLOWERS AND WHALES AND NIGHTINGALES. Judy Collins was never meant to become a folk singer. Originally, she had studied classical music and made her public debut when she was just thirteen. That night in Denver, Judy Collins played Mozart’s Concerto For Two Pianos. All Antonia Brico’s tuition and encouragement had been worthwhile. Her pupil she believed, was destined for greatness. There was a problem though. Lately, Judy Collins had started to show an interest in folk music. This troubled Antonia Brico. She didn’t approve of her pupil’s growing interest in folk music. Antonia Brico didn’t want Judy Collins to stray from her path, which she hoped, could lead her to becoming one of the top classical pianists . After all, she was an outstanding and prodigious pupil. Judy Collins despite her youth and talent, was also determined; determined to pursue her interest in folk music. So she made the toughest decision of her young life, and discontinued her piano lessons with Antonia Brico. Soon, Judy Collins had switched to guitar and was further embraced folk music. Previously, she had just dipped her toe in water. Now she dived in head-first, and discovered that the water was lovely. Initially, Judy Collins had discovered the music of Woodie Guthrie, Pete Seeger and traditional folk songs . This was just the start of Judy Collins’ love affair with folk music. At home, music was almost omnipresent. Her father was a singer and disc jockey. He had moved to Denver, Colorado from Seattle, Washington when Judy Collins was ten. She was born on 1st of May 1939, and was the eldest of five children. However, the Collins’ family move to Denver worked in Judy Collins’ favour. Musicians were always around the Collins’ household. They encouraged Judy Collins’ burgeoning interest in folk music. By the time she graduated high school, Judy was ready to make her debut as a folk singer. Her debut took place at Michael’s Pub in Boulder, Colorado. Soon, though, Judy Collins was regular on the local folk scene. She played at Exodus folk club Exodus and at the University Of Connecticut. This resulted in Judy playing at campus parties and making appearances on college radio. That was where she met musicians like David Grisman and Tom Azarian. Soon, though, Judy was ready to head make the next step in her, and headed to the capital of American folk music, Greenwich Village. Now settled in Greenwich Village, Judy Collins began to play in some of the best known folk clubs, including Gerde’s Folk City. Judy’s timing was perfect, the sixties folk boom began. Suddenly, folk music was de rigueur. Record companies began to sign up some of the leading lights of the Greenwich Village folk scene. This included Judy Collins, who signed to Jac Holzman’s Elektra Records in early 1961. Little did Judy Collins realise that this was the start of a thirty-five year relationship she would have with Elektra. During that period, Judy released In My Life, Wildflowers and Whales and Nightingales. They’ve recently been remastered and reissued by BGO Records as a two disc set. These three albums were released between 1966 and 1970. By then, Judy was an experienced and successful recording artist. Judy’s recording career began later in 1961, when she released her debut album A Maid Of Constant Sorrow. A Maid Of Constant Sorrow. Having signed to Elektra Records in early 1961, Judy Collins’ thoughts turned to her debut album. Elektra Records’ founder Jac Holzman was keen to record his latest signing’s debut album. So Judy began choosing suiting material for her debut album. Eventually, Judy Collins had settled on twelve songs. Most were traditional songs, including the Scottish anthem Wild Mountain Thyme, the Irish standard The Prickilie Bush and a remake of Man Of Constant Sorrow, which became A Maid Of Constant Sorrow. They were familiar songs on the folk scene, unlike Wars Of Germany, John Riley and Tim Evans. However, Tim Evans was penned by English folk singer and songwriter Ewan McColl. He was a familiar face on the folk scene, and later, would write one of Judy’s biggest hit singles. That was all in the future. Before that, Judy Collins entered the studio with Jac Holzman who would produce her debut album. Accompanying Judy, was former Weavers’ guitarist Fred Hellerman and Erik Darling on banjo. They provided a sparse and understated accompaniment to Judy’s vocals on the twelve songs, which became A Maid Of Constant Sorrow. With A Maid Of Constant Sorrow completed, Elektra Records scheduled the release of Judy Collins’ debut album in November 1961. Before that, critics had their say on A Maid Of Constant Sorrow. For many critics, Judy Collins was a new name. They immediately drew comparisons with Bob Dylan, given that many of the songs on A Maid Of Constant Sorrow were protest songs. Judy became a storyteller as she painted pictures with her voice. However, Judy was also an educator, introducing critics and record buyers to not just familiar songs and others which were much more obscure. Each of the songs showcased a talented vocalist, especially on A Maid Of Constant Sorrow, Wild Mountain Thyme, Know Where I’m Going and The Rising Of The Moon. 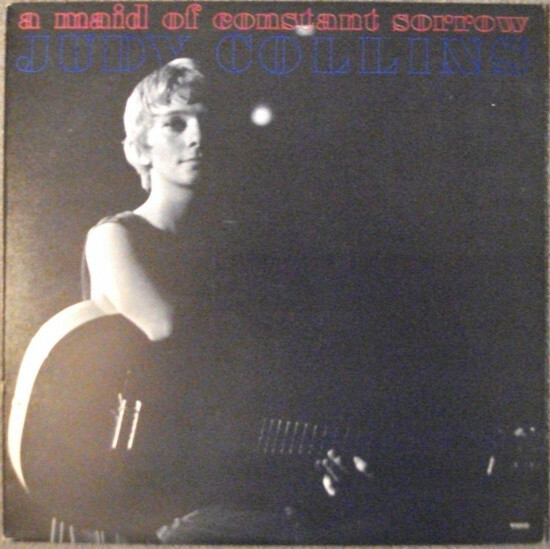 Critics were won over by Judy Collins’ debut album, and A Maid Of Constant Sorrow was released to mostly positive reviews. This augured well for the release of A Maid Of Constant Sorrow in November 1961. Despite winning the approval of critics, A Maid Of Constant Sorrow wasn’t a commercial success. The album failed to trouble the US Billboard 200. However, Judy Collins’ debut album found favour within the burgeoning folk community. Given folk music’s popularity was rising, so should Judy’s. It might take a couple of albums though. Golden Apples Of The Sun. Despite the disappointing sales of Judy Collins’ debut album, Jac Holzman wasn’t giving up on his latest signing. He was playing the long game, and sent Judy back into the studio to record her sophomore album, Golden Apples Of The Sun. It followed a similar pattern to A Maid Of Constant Sorrow. Nine of the twelve songs on Golden Apples Of The Sun were traditional songs. This included Bonnie Ship the Diamond, which Judy arranged. The other songs Judy decided to cover were Reverend Gary Davis’ Twelve Gates to the City, Sydney Carter’s Crow On The Cradle and Mike Settle’s Sing Hallelujah. These twelve tracks were recorded with producer Jac Holzman and a small band. Just like the sessions for A Maid Of Constant Sorrow, the band of bassist Bill Lee and Walter Raim on guitar and banjo. Judy played guitar and piano and while laying down the vocals. Once the twelve songs were recorded, Golden Apples Of The Sun was scheduled for release in July 1962. Before that, critics received their advance copies of Golden Apples Of The Sun. By then, folk music’s popularity was rising, and critics were paying more attention to the Greenwich Village folk scene. Already Judy Collins was one of the leading lights of the Greenwich Village folk scene. Most of the critics cast an approving eye over Golden Apples Of The Sun, and its mixture of traditional and new songs. They showcased a talented and versatile singer, who had the uncanny ability to bring a song to life. A great future was forecast for Judy Collins. Alas, lightning struck twice for Judy Collins. When Golden Apples Of The Sun was released in July 1962, the album failed to chart. A small crumb of comfort was that Golden Apples Of The Sun was a popular album within the folk community. However, gradually, Judy was making inroads into the wider record buying public. It would be a case of third time luckily for Judy Collins. After two albums which failed to chart, a few changes were made for Judy Collins’ third album. The first change was the type of songs Judy was covering. She covered two Bob Dylan songs, Farewell and Masters Of War. This was a shrewd move, given the popularity of Bob Dylan. Just like on her debut album, Judy again covered songs by Ewan McColl and Mike Settle. This time round, Judy covered Ewan McColl’s The Dove and Mike Settle’s Settle Down. They joined Pete Seeger’s Turn! Turn! Turn! (To Everything There Is A Season); Jim Friedman and Shel Silverstein’s Hey, Nelly Nelly and Come Away Melinda and covers of two traditional songs, Bullgine Run and Ten O’Clock and All Is Well. These songs would become part of Judy Collins 3, which featured a new face. When Judy Collins arrived at the studio in March 1963, Mark Abramson had been chosen to produce Judy Collins 3. He would go on to play an important part in the rise and rise of Elektra Records. Another new face was guitarist and banjo player Roger McGuinn. He would go on to enjoy commercial success and critical acclaim with The Byrds. However, in 1963, he was a session player, who joined bassist Bill Takas and Walter Raim. He also played guitar and banjo. Judy laid down guitar parts and played the piano, while adding the vocals on Judy Collins 3. It was completed by April 1963, but wasn’t released until later that year. By the time that Judy Collins 3 was released later in 1963, Judy Collins’ star was in the ascendancy. She was already regarded as one of the best at interpreting traditional songs. Despite this, Judy had decided to cover many new contemporary songs on Judy Collins 3. She was equally at home covering new and contemporary songs. Critics were won over by Judy Collins 3’s mixture of traditional songs and covers of songs by Bob Dylan, Pete Seeger and Ewan MacColl. 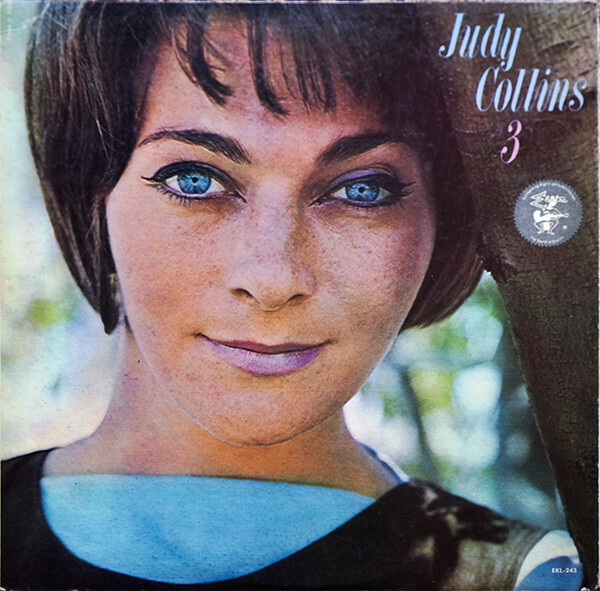 Part of the success of Judy Collins 3, was Judy’s decision to stay true to the originals. This pleased critics and record buyers. 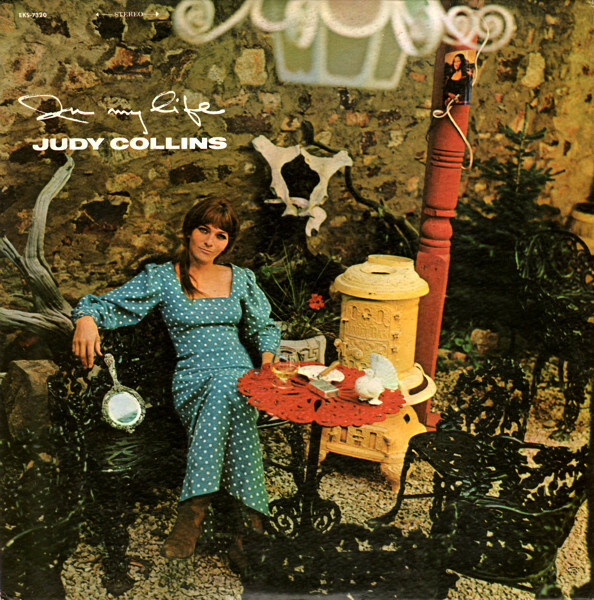 When Judy Collins 3 was released, it reached 126 in the US Billboard 200. It was a case of third time lucky for Judy Collins, whose music was belatedly reaching a wider audience. However, it would be another two years before Judy returned with her fourth studio album. Although Judy Collins didn’t release a studio album during 1964, she released her first live album The Judy Collins Concert. It was recorded on March 21st 1964, at Town Hall in New York City. That night, Judy worked her way through fourteen songs from some of her favourite songwriters. Judy opened her set with Billy Edd Wheeler’s Winter Sky, and covered several two more of his compositions Red-Winged Blackbird and Coal Tattoo. Tom Paxton’s The Last Thing On My Mind, My Ramblin’ Boy and Bottle Of Wine joined Fred Neil’s Tear Down the Walls, John Phillips’ Me and My Uncle, Bob Dylan’s The Lonesome Death of Hattie Carroll and Ewan McColl’s Cruel Mother. These songs were joined by Jim Friedman and Shel Silverstein’s Hey, Nelly Nelly and covers of traditional songs like Bonnie Boy Is Young and Wild Rippling Water. Accompanying Judy were bassist and cellist Chuck Israel and Steve Mandell on banjo and guitar. Judy switched between piano and guitar as she delivered a captivating set. It was being recorded by Elektra Records, and was produced by Mark Abramson. It became The Judy Collins Concert. When The Judy Collins Concert was released in July 1964, the reviews of the album were mostly positive. Critics who hadn’t yet heard Judy live, had the opportunity to do so, without even leaving the comfort of their favourite armchair. They praised what was an enchanting set which featured Judy Collins as she breathed life, meaning and emotion into familiar and traditional songs. Surely, The Judy Collins Concert would build on the success of Judy Collins 3? Sadly, that wasn’t the case. The Judy Collins Concert failed to chart, which was a huge disappointment. After it seemed as if Judy had made a breakthrough with Judy Collins 3. However, it wasn’t just The Judy Collins Concert that didn’t sell well. For much of the sixties, live albums didn’t sell in vast quantities. That would change in the seventies. By then, music had changed beyond recognition. Even in July 1964, music was changing in America, with the British Invasion bands arriving on American shores. How would Judy Collins react? Judy Collins didn’t return with her Fifth Album until November 1965. The only difference was that the album featured a bigger band, and a much more eclectic selection of instruments. Strings, a dulcimer and harmonica would augment Judy on Fifth Album. 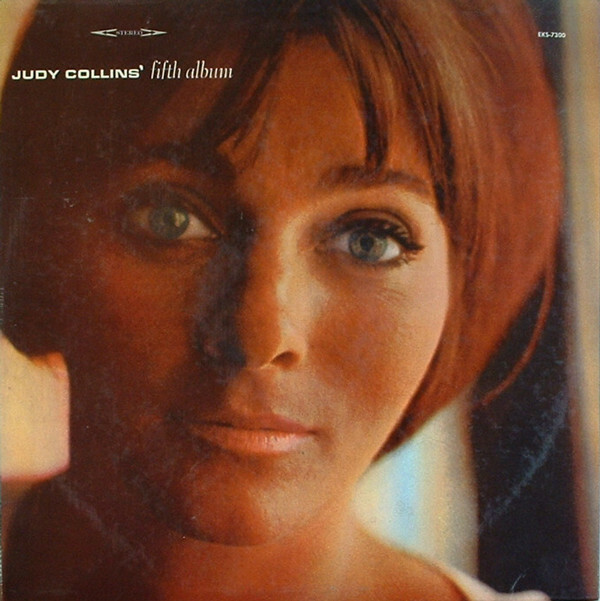 Just like Judy Collins 3, Fifth Album featured mainly cover versions by some of her favourite songwriters. By 1965, Bob Dylan was still one of Judy’s favourite singer-songwriters. So much so, that she covered three of his songs, Mr. Tambourine Man, Tomorrow Is A Long Time and Mama, You Been on My Mind which became Daddy, You Been on My Mind. They were joined by Phil Ochs’ In the Heat of the Summer, Gordon Lightfoot’s Early Morning Rain, Gil Turner’s Carry It On and a live version of Malvina Reynolds’ It Isn’t Nice. Other songs included Billy Edd Wheeler’s The Coming of the Roads and two traditional songs, So Early, Early In The Spring and Lord Gregory. These songs, and the rest of Fifth Album were recorded with producer Mark Abramson. When recording began, Judy was joined by a bigger band. Strings were added to some of the tracks. A familiar face was bassist Bill Takas, who had played on previous albums. He was joined by two other bassists, Bill Lee and Chuck Israels, who also played cello. They were joined by Richard Fariña on dulcimer and Lovin Spoonful founder John Sebastian on harmonica. Two guitarists featured on Fifth Album, Danny Kalb and Eric Weissberg who added harmonies. Judy as usual, accompanied herself on piano and guitar. Once her first studio album in two years was complete, Elektra Records announced its release in November 1965. A lot had happened since Judy Collins had been away. The British Invasion bands dominated the American charts, the psychedelic era had begun. However, resolutely, Judy Collins stuck to her trademark acoustic sound. Fifth Album won the approval of critics, who complemented Judy on her choice of song and delivery. It was hailed as her finest albums. Fifth Album had the potential to be a career defining album. When Fifth Album was released in November 1965, it climbed the charts all the way to forty-six in the US Billboard 200. This was by far, the most successful album of Judy Collins’ career. That was until her next album. Buoyed by the commercial success of her Fifth Album, Judy Collins’ thoughts soon turned to the followup. This time though, her sixth album, In My Life. It marked a turning point in Judy Collins’ career, in more way than one. The first was that In My Life was Judy Collins’ first album not to feature any traditional songs. Instead, she covered songs by some of the biggest names in music. This included Lennon and McCartney’s In My Life, Bob Dylan’s Just Like Tom Thumb’s Blues, Randy Newman’s I Think It’s Going To Rain Today, Donavon’s Sunny Goodge Street and Richard Fariña’s Hard Lovin’ Loser. Two Leonard Cohen songs featured on In My Life, Suzanne and Dress Rehearsal Rag. Another first, was the inclusion of a song penned by Jacques Brel. He was another of Judy’s favourite songwriters, and his composition with Alasdair Clayre La Colombe was included. These songs, and the rest of In My Life were recorded in London. Sound Techniques studio was chosen to record In My Life. Judy Collins’ usual producer Mark Abramson was present, and directing operations. Joshua Rifkin arranged and conducted the orchestra. This was a first, Judy being accompanied by an orchestra who produced dramatic, widescreen backdrops for her vocals. They became In My Life, which was released in November 1967. By the time that In My Life was released, Suzanne had already been released as a single. It was released in 1966, but failed to chart. Hard Lovin’ Loser didn’t do much better, when it crept into the US Billboard 100 at number ninety-seven. However, by then, the reviews of In My Life had been published. In My Life received the best reviews of any album Judy Collins had released. Critics were won over by the change in style, and big, dramatic, orchestral arrangements. They framed Judy’s vocal, as she interpreted the twelve songs, and in many cases, brought something new to the songs. This just added to Judy’s reputation as one of the best interpretative singers of her generation. Songs came to life, and took on new meaning. Especially Suzanne, I Think It’s Going To Rain Today, Dress Rehearsal Rag, Sunny Goodge Street and even In My Life. However, throughout In My Life, Judy delivered a series of spellbinding and masterful performances. With critical acclaim accompanying the release of In My Life, this augured well for Judy Collins’ new album. And so it proved to be. When In My Life was released in November 1966, the album reached forty-six in the US Billboard 200. In My Life surpassed the success of Fifth Album. Less than four years later, and In My Life was certified gold in 1970 after selling over 500,000 copies. However, after basking in the success of In My Life, Judy Collins began work on the followup, Wildflowers. Following the commercial success and critical acclaim of In My Life, Judy Collins began work on a new album, Wildflowers. She was determined to build on the success of In My Life. However, Wildflowers was unlike any of Judy’s previous albums. Wildflowers was a turning point in Judy Collins’ career. It was the first album to feature songs penned by Judy. She wrote three of the ten songs on Wildflowers, including Since You Asked, Sky Fell and Albatross. These three songs were augmented by two covers of Joni Mitchell’s Michael from Mountain and Both Sides Now. Judy also covered a trio of Leonard Cohen songs, Sisters Of Mercy, Priests and Hey, That’s No Way To Say Goodbye. Again, Judy covered a Jaques Brel song, La Chanson Des Vieux Amants (The Song of Old Lovers). The other song on Wildflowers was a cover of the fourteenth century composition, A Ballata Of Francesco Landini. These songs were recorded in New York with producer Mark Abramson. Just like In My Life, Joshua Rifkin was drafted in, and arranged nine the ten songs. The exception was Priests, which arranged by Robert Silvester and Robert Dennis. However, when it came to conducting Wildflowers, Joshua Rifkin took charge, hoping for a repeat of the commercial success and critical acclaim of In My Life. Before Wildflowers was released in October 1967, critics had their say on Judy Collins’ new album. Wildflowers featured Judy’s songwriting debut on Since You Asked, Sky Fell and Albatross. She proved to be a talented songwriter and storyteller. Judy brought these songs to life with the aid of Joshua Rifkin’s widescreen arrangements. That was the case as Judy covered songs penned by Leonard Cohen and Joni Mitchell. They were tailor-made for Judy’s interpretative vocal style. Her delivery was heartfelt, impassioned and emotive. Similarly, whether it was drama, hope, heartache or happiness that was required, Judy Collins was capable of providing it on Wildflowers. Critics hailed Wildflowers a fitting followup to In My Life. They weren’t wrong. When Wildflowers was released in October 1967, it reached number five in the US Billboard 200. This was the highest chart placing of any Judy Collins. What had helped sales of Wildflowers was the success of the single Both Sides Now. It was released in early 1968, and reached number eight in the US Billboard 100, number six in Canada and thirty-seven in the Australian charts. The followup Since You Asked, failed to repeat the success of Both Sides Now when it failed to chart. However, this wasn’t the end of the Wildflowers’ success. When the Grammy Awards’ nominations were announced in 1969, Both Sides Now was nominated for the Best Folk Performance Or Best Folk Recording. This was a first for Judy Collins, and showed how far she had come in the last two years. Things got even better for Judy Collins, when Both Sides Now won Judy Collins her first Grammy Award. 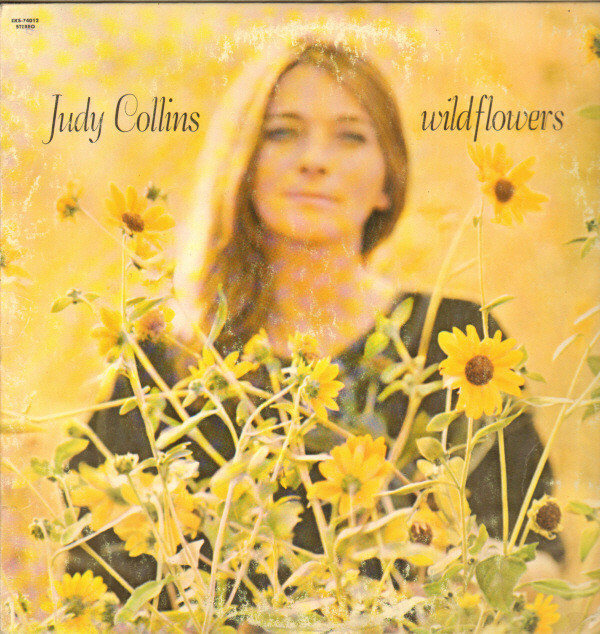 Then in 1969, Wildflowers was certified gold, and became Judy’s second album to sell over 500,000 copies. Life was good for Judy Collins, who was one of the biggest names in folk music. By then, Judy had released a new album, Who Knows Where the Time Goes. Despite the success of Wildflowers, Judy Collins decided to change direction on Who Knows Where the Time Goes? It featured elements of country rock and folk rock.Who Knows Where the Time Goes? was a much more eclectic album than previous Judy Collins’ albums, and featured covers of songs by some of the great and good of music. This included Bob Dylan’s I Pity the Poor Immigrant, Leonard Cohen’s Story Of Isaac and Bird On The Wire, Robin Williamson’s First Boy I Loved and Sandy Denny’s Who Knows Where the Time Goes? They joined Ian Tyson’s Someday Soon, Rolf Kempf’s Hello Hooray and the traditional murder ballad, Pretty Ballad. The only Judy Collins’ composition was My Father. These nine songs were recorded with a new band and new producer. Recording began at Elektra Sound Recorders, Los Angeles, in 1968. This was a first for Judy Collins. She had never recorded an album in L.A. Nor had she worked with David Anderle replaced Judy Collins’ longterm producer Mark Abramson on Who Knows Where the Time Goes? Joining the new producer was a new band. It included a rhythm section of drummer and percussionist Jim Gordon, bassist Chris Ethridge and James Burton on electric guitar and dobro. Augmenting the rhythm section were Buddy Emmons on pedal steel guitar, pianist Mike Melvoin and Van Dyke Parks on piano and electric piano. Michael Sahl switched between organ, piano and harpsichord, keyboard, while Stephen Stills played bass and guitar. This new band plugged in, and took Judy’s music in a totally new direction. For a singer who had just enjoyed the biggest album of her career, this was a huge risk. Judy Collins needn’t have worried. When critics heard Who Knows Where the Time Goes? they were immediately won over. Critics hailed the album a mini masterpiece. They welcomed an album that showcased a much more eclectic selection of songs. Hello Hooray was headed in the direction of rock, while Poor Immigrant was a move towards country rock. My Father was a masterful example of balladry, something Judy had excelled at throughout her career. However, among the album’s highlights were the Story Of Isaac, which was cinematic and full of imagery. Along with a peerless cover Leonard Cohen’s Bird On A Wire and the wistful, ethereal beauty of the title-track, these three tracks were among the highlights of Who Knows Where the Time Goes? It was described as one of the finest albums of Judy’s career, and was an album that introduced her music to a much wider audience. The answer to that was yes and no. When Who Knows Where the Time Goes? was released in November 1968, and reached twenty-six in the US Billboard 200. However, by 1969, Who Knows Where the Time Goes? had been certified gold. This gave Judy Collins’ the third gold disc of her career. Her last album of the sixties had been a success. The only disappointment was the performance of the singles. My Father was released as the lead single in 1968, but failed to chart. Someday Soon fared better, reaching fifty-five in the US Billboard 100 in 1969. This time, around there had been no top ten singles, but still Judy Collins was one of the most successful folk singers of her generation. 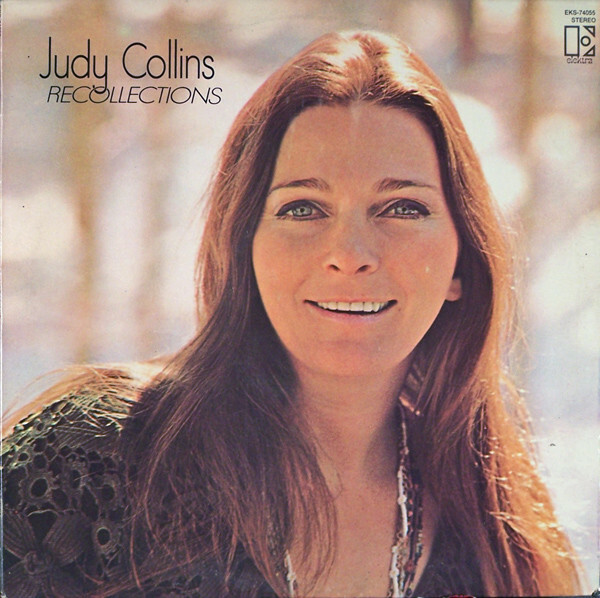 The only album that Judy Collins released during 1969, was the first compilation of her career, Recollections. It featured a selection of songs from Judy’s career so far. This included Tomorrow Is A Long Time, Early Morning Rain, Turn! Turn! Turn! (To Everything There Is A Season), Listen Now! Daddy You’ve Been On My Mind, Mr. Tambourine Man, The Last Thing On My Mind and Farewell. One of these songs was released as a single, and gave Judy a hit single. Judy Collins’ cover Turn! Turn! Turn! (To Everything There Is A Season) was released as a single in 1969, and reached sixty-nine in the US Billboard 100. Although it wasn’t the biggest hit of Judy’s career, it kept her in the public eye, while she pondered her next move. She wouldn’t release a new album until 1970. 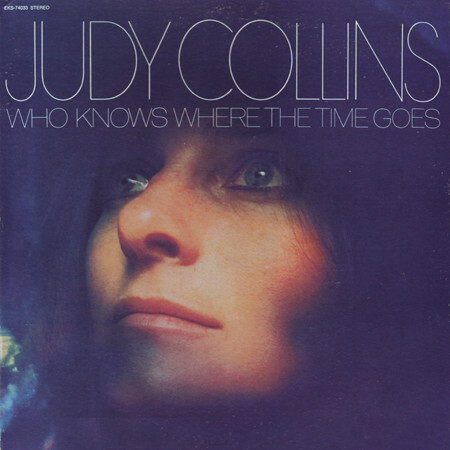 Essentially, the sixties ended for Judy Collins in October 1968, when she released Who Knows Where the Time Goes? Since then, she hadn’t released a studio album. It wasn’t until August 1970 when Judy returned with Whales and Nightingales, album that owed more to Wildflowers than Who Knows Where the Time Goes? Whales and Nightingales saw a return to shorter songs, and Judy’s tradition folk sound. She had written Nightingale and cowrote Nightingale II with Joshua Rifkin. The rest of Whales and Nightingales comprised cover versions. Among the cover versions, were songs by some of Judy Collins’ favourite singers and songwriters. This included Bob Dylan’s Time Passes Slowly, Joan Baez’s A Song For David and Pete Seeger’s Oh, Had I A Golden Thread. Other songs included a cover of Dominic Behan’s The Patriot Game, John Newton’s Christian hymn Amazing Grace and Prothalamium which Michael Sahl and Aaron Krame wrote. Judy chose two Jaques Brel compositions, including Marieke which he penned with Gerard Jouannest. The two men also wrote Son Of with Eric Blau and Mort Shuman. Augmenting these covers were a trio of traditional songs, Gene’s Song, Farewell to Tarwathie and Simple Gifts. These thirteen songs were recorded during 1970 with a familiar face. Given Judy Collins was returning to her familiar folk sound, it made sense to reunite with her former producer, Mark Abramson. He had produced most Judy’s commercially successful and critically acclaimed albums. The exception was Who Knows Where the Time Goes? That was the past. Whales and Nightingales was the future. Another familiar face was Joshua Rifkin, who arranged and conducted Sons Of, Prothalamium and Marieke. Judy also arranged a trio of tracks, Farewell To Tarwathie, Simple Gifts and Amazing Grace. One of these songs would become one of Judy Collins’ best known songs. Once Whales and Nightingales was complete, Elektra Records scheduled the release for August 1970. The song that was chosen as the lead single, was a surprising one, Judy Collins’ cover of the Christian hymn Amazing Grace. When it was released in 1970, it reached number fifteen in the US Billboard 100 and number ten in the Australian singles’ charts. This augured well for the release of Whales and Nightingales. Especially when Whales and Nightingales was well received by critics. Again they complemented Judy Collins on her judicious choice of songs, which she interpreted in her own unique way. This included Bob Dylan’s Time Passes Slowly, Joan Baez’s A Song For David and Pete Seeger’s Oh, Had I A Golden Thread. They were perfect for Judy, and brought out the best in her. So did Farewell To Tarwathie, which featured one of the most imaginative arrangements on Whales and Nightingales. Judy was accompanied by a chorus of humpback whales, who provided a sparse, but almost haunting arrangement. These understated arrangements had always provided the perfect backdrop for Judy Collins’ vocals. When Whales and Nightingales was released in July 1970, the album reached number seventeen in the US Billboard 100. By 1971, the album had sold over 500,000 copies and had been certified gold. Judy Collins’ first album of the seventies, saw her pickup where she left off in 1968. After eight studio albums and one live album, Judy Collins was one of the most successful folk singers of her generations. Judy Blue Eyes’ last four album had been certified gold. This remarkable run began with 1966s In My Life, and included 1967s Wildflowers, 1968s Who Knows Where the Time Goes? and ended with 1970s Whales and Nightingales. During this period, it seemed Judy Collins could do wrong. She enjoyed several hit singles, including her cover of Joni Mitchell’s Both Sides Now. It won Judy her first Grammy Award in 1969. Judy Collins had come a long way since her debut album A Maid of Constant Sorrow in 1961. 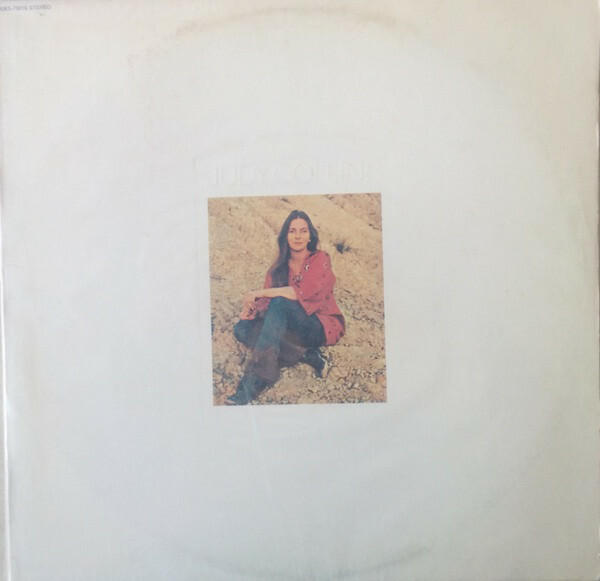 While A Maid Of Constant Sorrow and its followup Golden Apples Of The Sun failed commercially, Jac Holzman and Elektra Records stuck with Judy Collins. They knew it would take two or three albums before Judy made a breakthrough. Their faith in Judy was richly rewarded, and by 1970, she was one of the most successful female singers of her generation. Judy Collins was also a pioneer of folk music. She had been around from the earliest days of the folk boom, and rode this musical elevator through the sixties. Throughout the decade, Judy flew the flag for folk music. That was despite the onslaught of pop, rock and psychedelia. Still, Judy stood firm. The only time she wavered, was in 1968s when she released Who Knows Where the Time Goes? It saw Judy enjoy a dalliance with country rock and folk rock. However, folk music was her true love, and she returned to the fold for Whales and Nightingales in 1970. Judy’s first album of the seventies was a triumphant returned, for the First Lady of folk. She had released some of the best music of her career between 1966 and 1970. Three of Judy Collins’ most successful albums were In My Life, Wildflowers and Whales and Nightingales. They’ve recently been remastered and reissued by BGO Records as a two disc set. These three albums were released between 1966 and 1970 and feature Judy Collins’ trademark folk sound. By then, Judy was one of the best interpretative singers of her generation. Seamlessly she brought songs to life, and they took on new meaning. 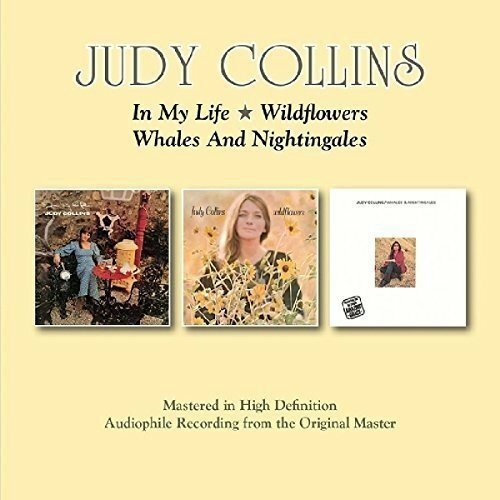 That’s the case on In My Life, Wildflowers and Whales and Nightingales, which are the perfect introduction to Judy Collins, who is, without doubt, one of the greatest singer-songwriters of her generation. ← TONY BANK-LIFE AFTER GENESIS.